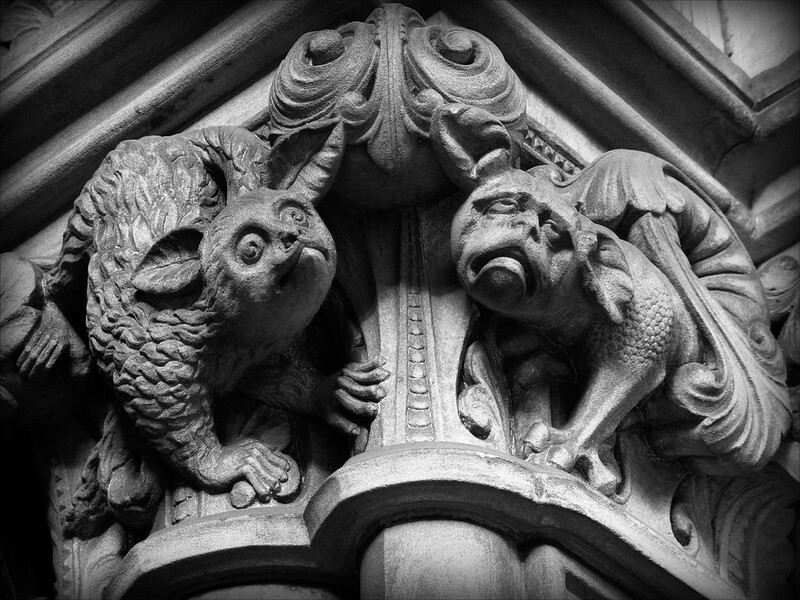 A grotesque is a sculpture that does not work as a waterspout and serves only an ornamental or artistic function. 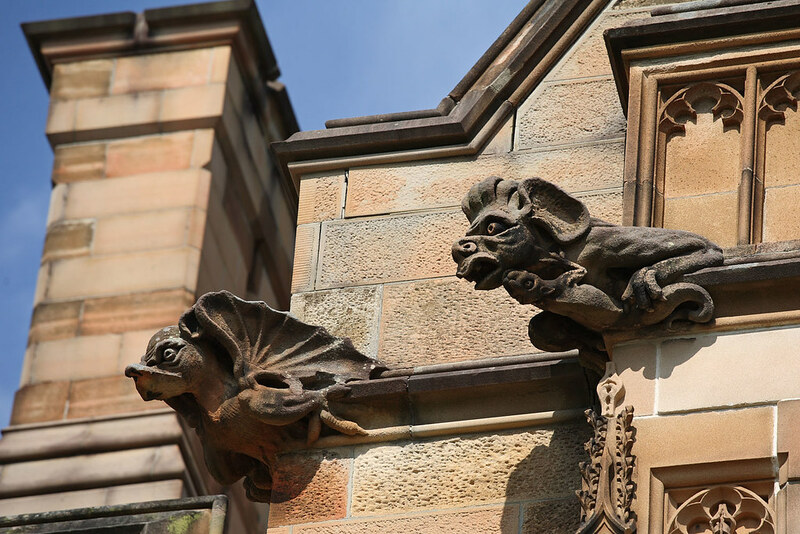 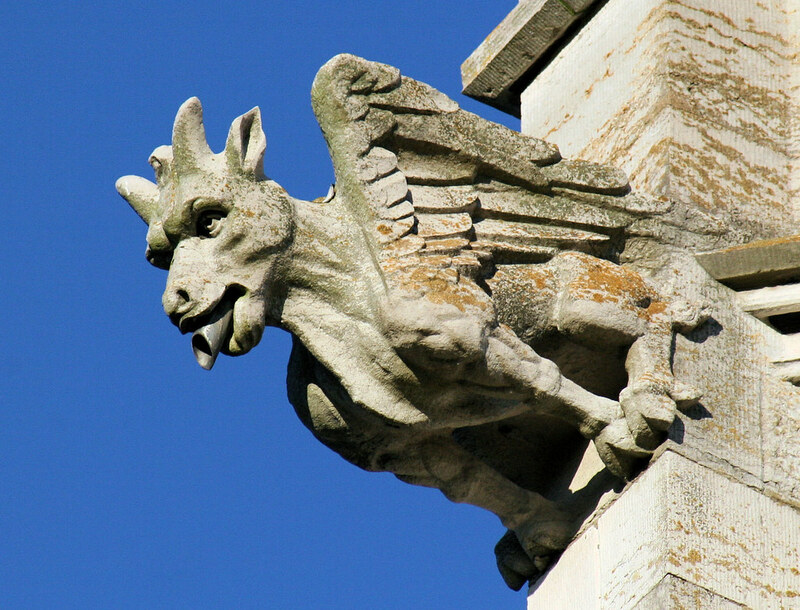 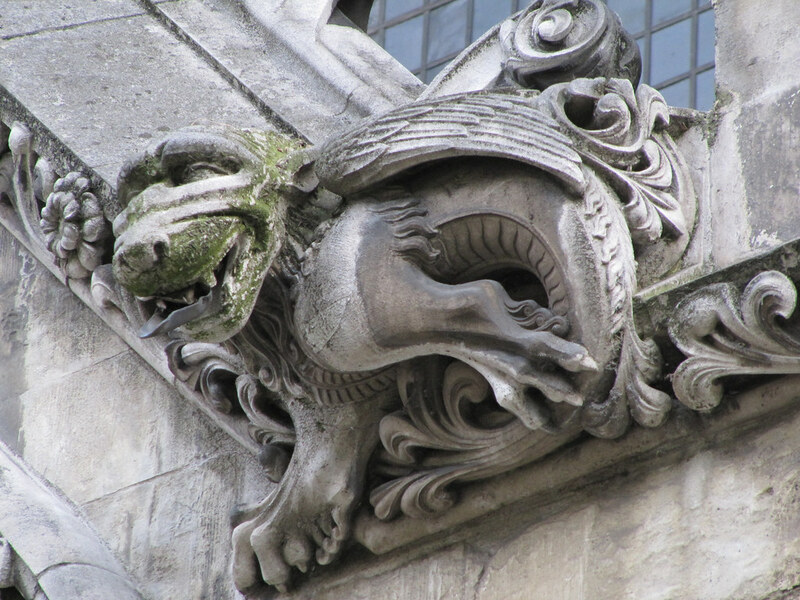 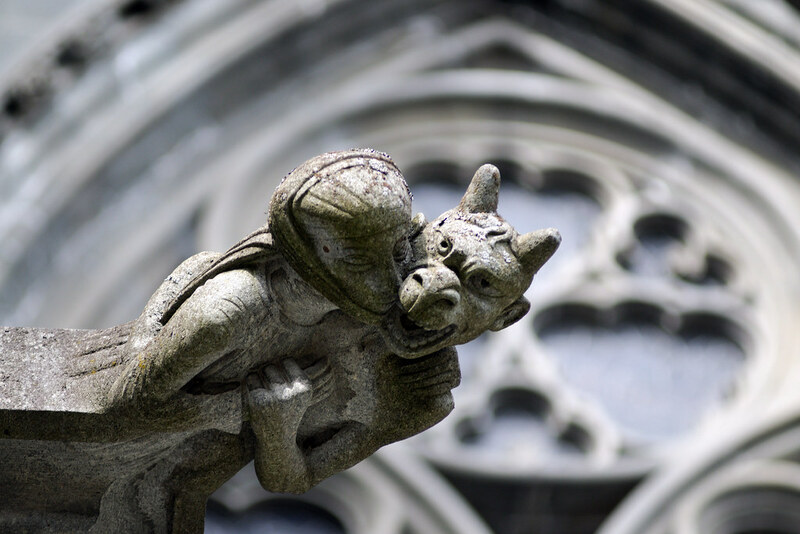 Both gargoyles and grotesques are said to frighten off and protect those it guards from any evil or harmful spirits. 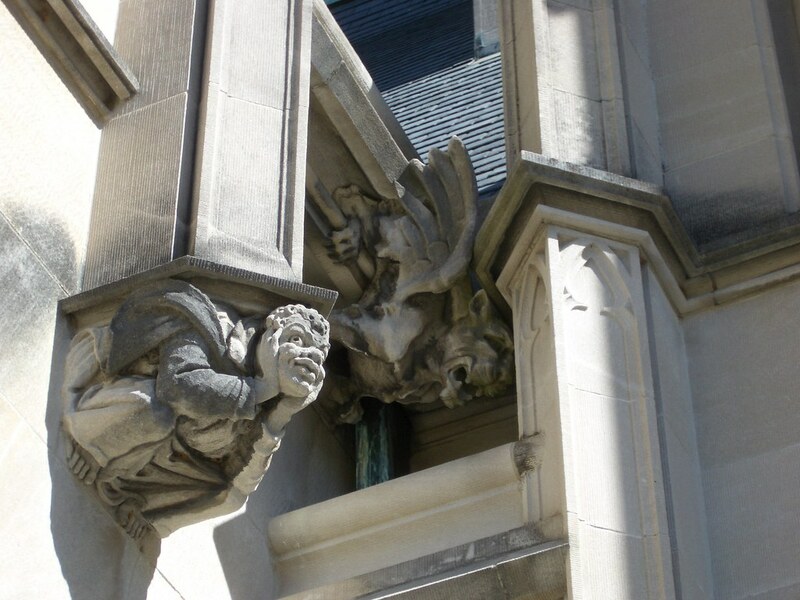 As an architectural sculpture I find gargoyles and grotesques fascinating. 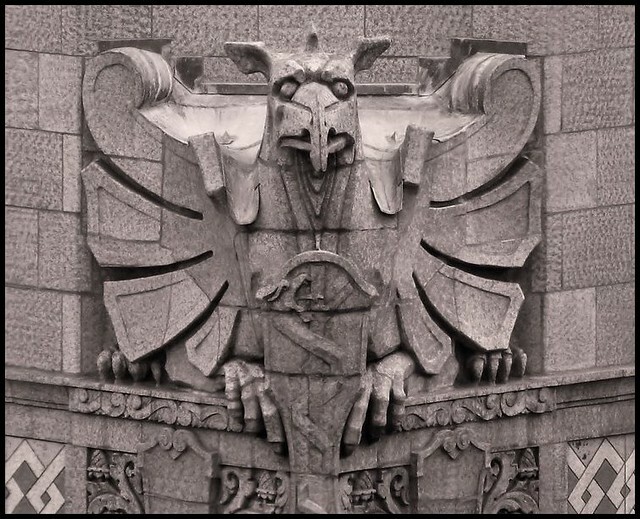 Whether ornamental or functional, their symbolism and ability to stir the emotions of those that gaze upon them is intriguing. 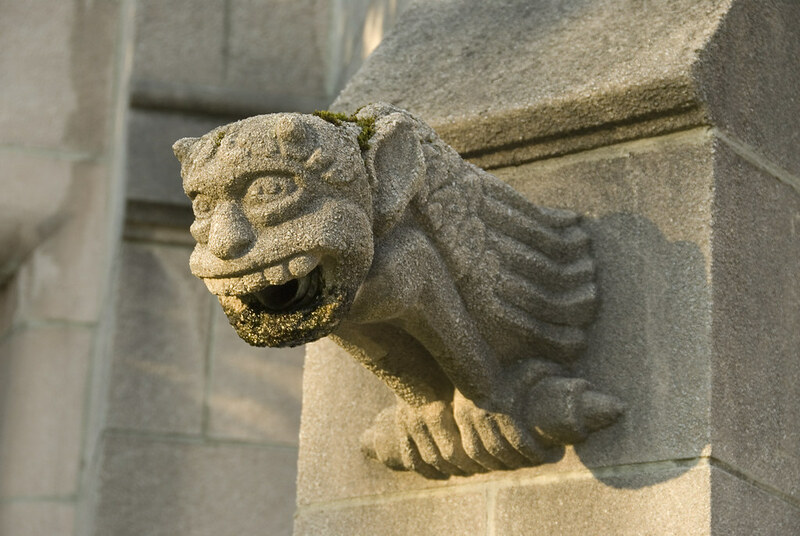 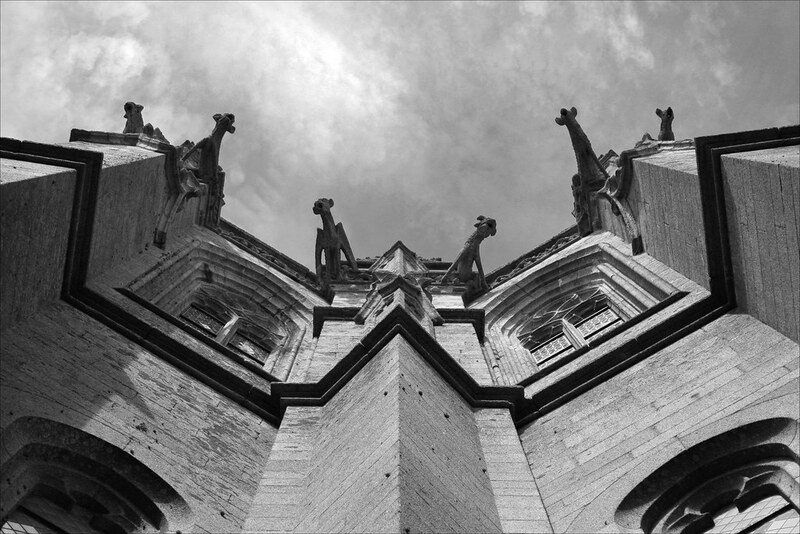 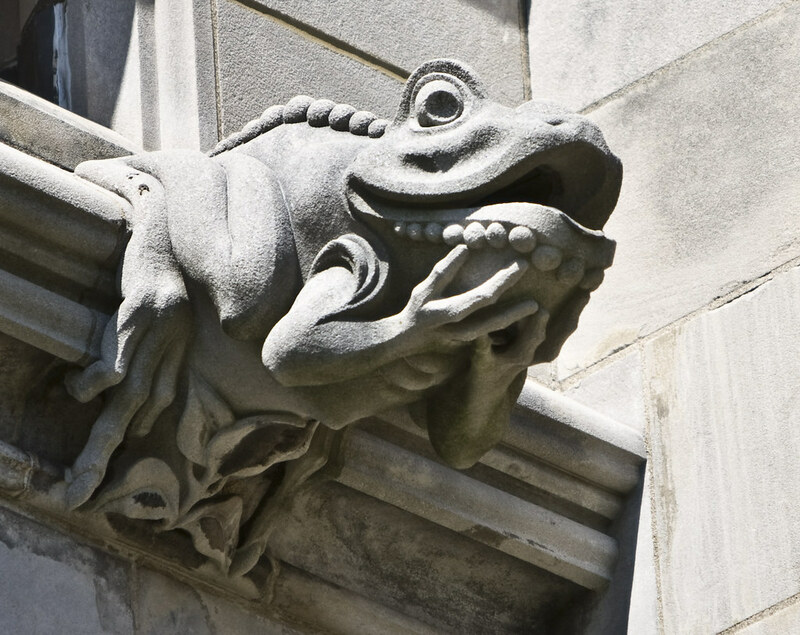 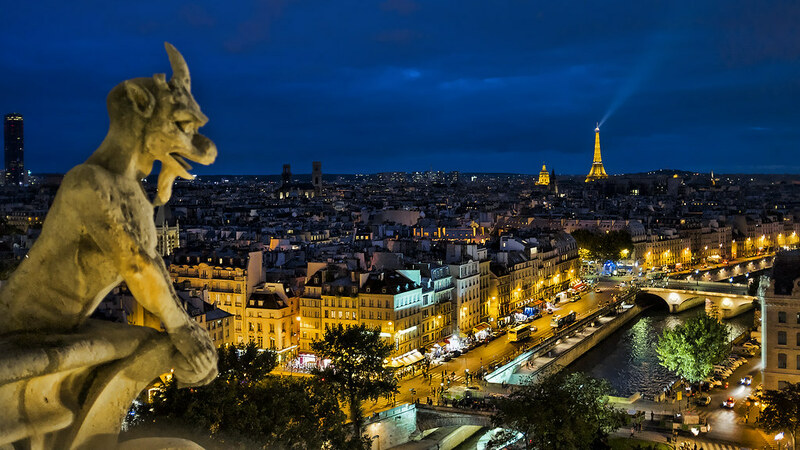 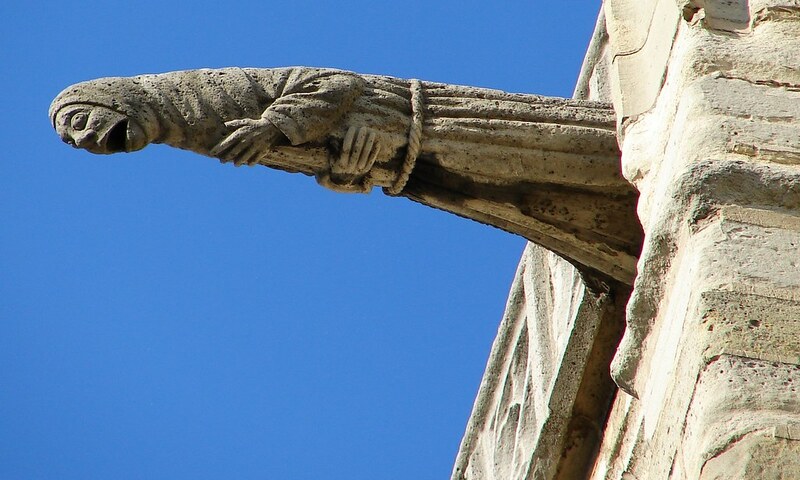 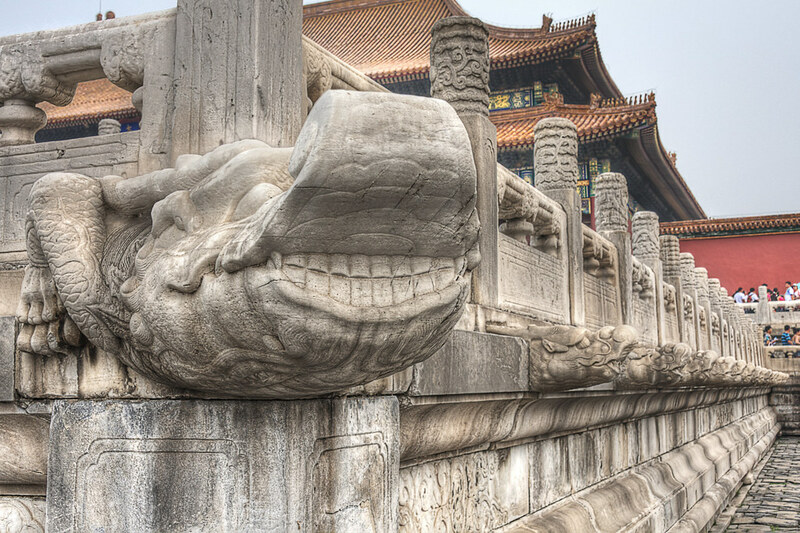 Below you will find a collection of gargoyles and grotesques around the world. 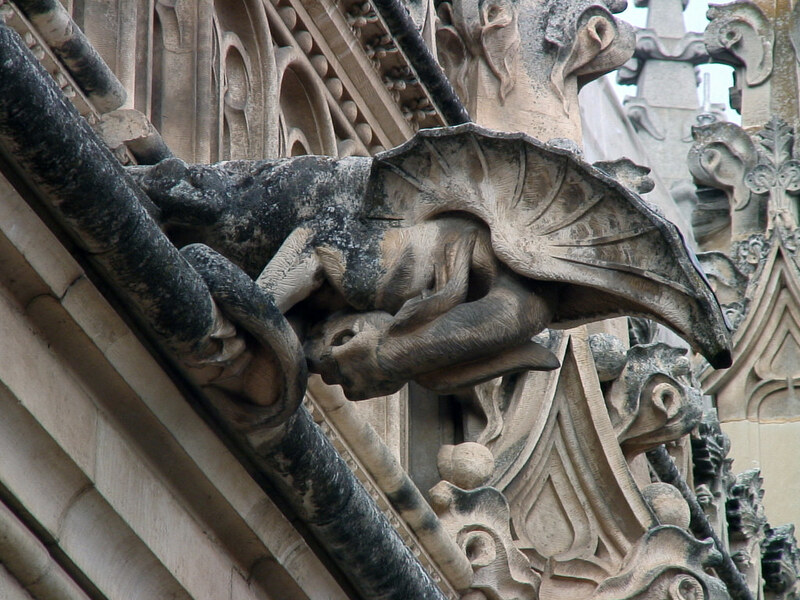 You can find many more examples on Flickr and Wikimedia Commons.